Harden's Guides have been compiling reviews of the best restaurants in Kent since 1998. 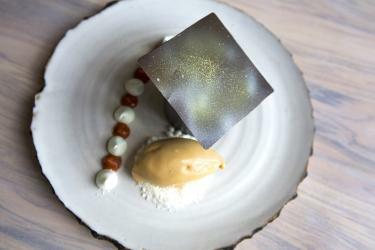 Hardens guides have spent 15 years compiling reviews of the best Kent restaurants. 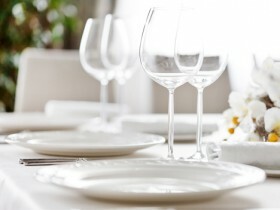 On Hardens.com you'll find details and reviews of 302 restaurants in Kent and our unique survey based approach to rating and reviewing Kent restaurants gives you the best insight into the top restaurants in every area and of every type of cuisine. “Just an all-round brilliant experience” – rock drummer-turned-chef Graham Garrett’s village restaurant in a 16th-century weaver’s cottage is “hard to beat in the Weald area of Kent”. The focus here is on “good local ingredients” and “lovely flavours”. “From the outside, it really is a scruffy, rundown-looking pub in a bleak landscape” (“with views over fields – the sea is out over the back”), but “it’s worth the long haul to find Stephen Harris’s uninviting-looking old place as it offers inspiring cuisine” that many consider “the best ‘pub’ food in the UK”. “The decor has been tidied up a bit recently, but happily not enough to jeopardise its second most attractive feature: it is unforgettably ordinary! That there’s zero pretension contrasts spectacularly with the peerless kitchen”. “The culinary approach is not fussy or arty but the straightforward route produces something sublime (dab and smear practitioners take note! )”: “simple, unpretentious and fantastically flavoursome” dishes using “good local produce (including lamb)” and with “fish cooking a highlight, as are the oysters, both natives and poached rocks”. “The tasting menu is a real ‘tour de force’” with “every dish spot-on” (you have to order it in advance, but there’s now also a shorter one you can have on the day). “Good wine too at even better prices”. “Everything just seems to work together perfectly”. “Pure magic…”, “I’d pay more than double…” – “Ben Crittenden manages to conjure up dishes full of flavour bombs and surprises” in the “tiny” 12-cover venue he built with his dad. His wife Sophie serves diners, and their no-choice tasting menu (Wed-Sat only) wins universal high praise for “stunning food in one of the most quirky environments possible”. 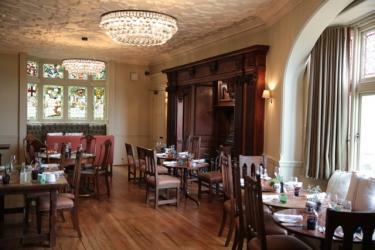 “A welcome addition to the east Kent dining scene”, the restaurant opened in 2017 following a makeover of this Grade I-listed Lutyens-designed boutique hotel, “famed for its gardens”. First-year ratings for food are excellent, and it seems to be “settling down as a top gastronomic destination after a shaky start”. Chef Shane Hughes (ex-Connaught, Whatley Manor, Ynyshir Hall) offers a range of meal options, including a “delicious and playful afternoon tea” and a ‘blind’ menu served in the Tasting Room. “Reads has reliably and consistently delivered excellent food and service over three decades and it is still a treat to visit if one’s budget allows!” – David and Rona Pitchford’s Georgian mansion on the north Kentish coast is a “wonderful, oldy-worldy type of place (great on a winter’s evening)” which provides “very stylish”, but also “homely” surroundings for a culinary blow-out with the “splendid tasting menu” rating special mention. Top Tip: “The lunchtime set menu is also particularly good value for money”. “A superb view of the water and beautifully cooked fresh fish” – the twin key attractions of Mark Sargeant’s “fabulously located” and highly popular venue on Folkestone Harbour. It’s quite a “pricey” location, but for the vast majority of diners well worth it. Top Tip: “ask for a window table”. “Amazing as ever”, agree the many fans of this family-run Chinese in the outer suburbs, which for years has been a “model of consistency” – “you’d never be embarrassed to bring friends here because the food is always exceptional”. This distinctive wedding venue in an Arts & Crafts country house set in 17 acres (part of Pete Cornwell’s ‘I’ll Be Mother’ group) also functions as a restaurant which attracts consistently high ratings for its “great food and service in a beautiful setting”. There’s a “fabulous outdoor terrace and oh! the views”. “In an oasis for food”, this cosy branch of the Kent-based ‘I’ll be Mother’ group is the epitome of a “great local” serving some “genuinely exceptional cooking”. Chef Simon Ulph moved to Jackson Boxer’s new London venture, St Leonards, in June 2018, with Megs Buchanan stepping in at the stoves. These are the top restaurants in Kent based on reviews by Hardens users.